We have many other people who attend Vol State to get a new college degree, perhaps opening up a new career path. We’re here to help. Your first step is to apply to the college at www.volstate.edu/apply. Be sure to also apply for financial aid. We have grants and scholarships for a wide-variety of students. Visit www.volstate.edu/financialaid for more info. 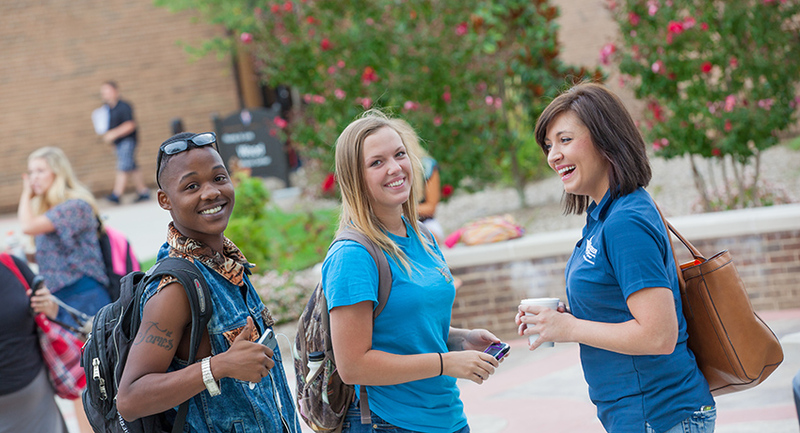 If you have already applied to Vol State consider getting plugged into our social media network. We can keep you informed of events on campus, free academic assistance, and important dates to remember. We do most of that communication on our Facebook page at www.facebook.com/volstate. Follow the Facebook page to get regular updates. But even if you are not on Facebook you can check out that page a couple of times a week…just like you would a website. Bookmark it. We’re looking forward to seeing you on campus soon! P.S. This picture is of the new group of President’s Ambassadors getting colorful for a photo shoot in front of the Thigpen Library. They will be representing the college for the 2018-2019 school year.